The Energy Saving Power Meter will measure the energy use (and calculate costs) of running household appliances. This helps you lower your power bill and reduce carbon emissions, as you discover which appliances are the worst energy offenders and then work out ways to limit their use. 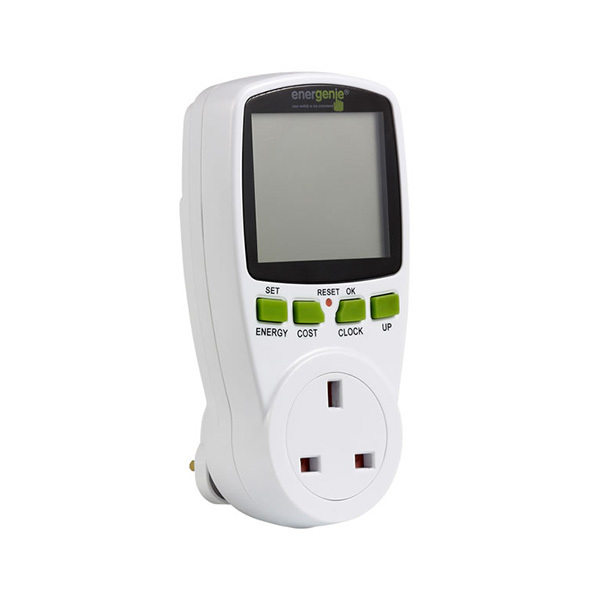 You can plug any 13 amp-rated household appliance into this power meter in plug adapter format to access its energy consumption and carbon footprint.